This is, in my opinion, the best pop album ever made. If you haven't heard it and are unfamiliar with the back story, look it up and get it listened to! Kairo Kingdom - "The Sound of Now"
Poor audio quality, but I can still groove to it. How do you think this compares with Brian Wilson's smile from 2004? I prefer this but a few tracks I like better on Brian Wilson's. I agree with you as far as best pop album goes, or maybe a toss up between this and Revolver. It's crazy to think about what this album might have been had it been finished at the time, with every track given the same sort of attention to detail as Heroes and Villains. 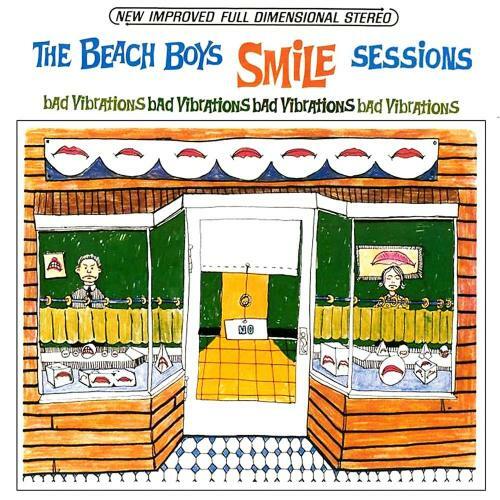 I think The SMiLE Sessions is the strongest version, but yeah, some tracks on Brian Wilson's individually are better. I've seen a few fan made mixes with different takes and tracks from both projects, which I might give a listen. And yes, Revolver has long been my favourite album, definitely on the same level, I'm glad you share that opinion!